As I've mentioned, my house has been on somewhat of a health kick. Or at least our version of a health kick. 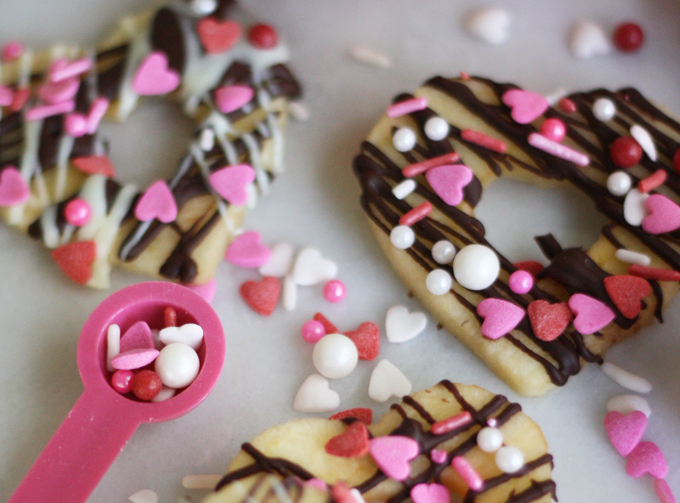 We haven't been indulging in things like donuts, cupcakes, and cookies in an effort to embrace a healthier January. The plan is to carry it right on into February, too! However, as we all know, the hard part of February is all of the fun things that happen during that month. We basically kick it off with "the big game" which is followed by Mardi Gras which is promptly followed by Valentine's Day. 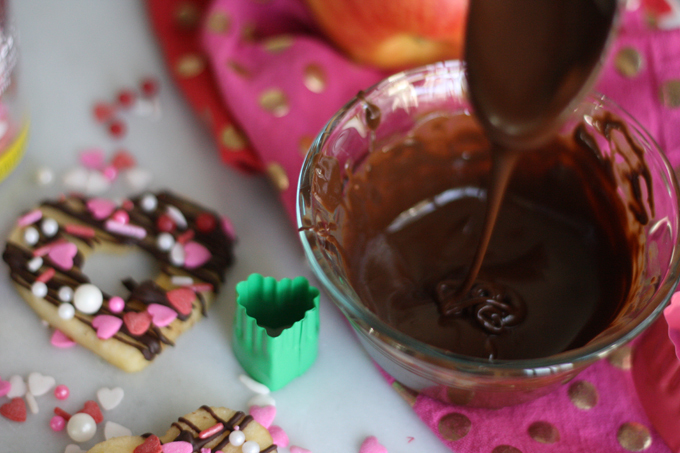 In an effort not to totally go off the bandwagon, I've been thinking creatively about chocolate-ridden holidays like Valentine's Day, and today, I've got a fun alternative perfect for little kids and kids at heart: healthy apple doughnuts. 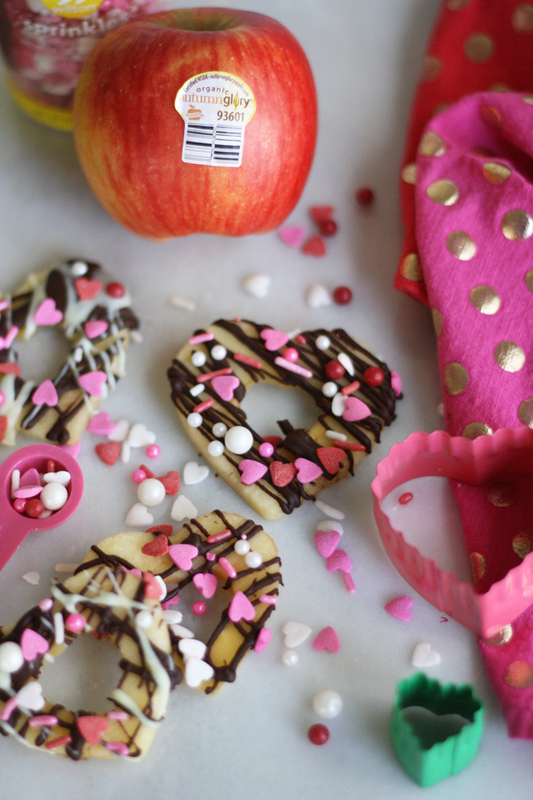 Apples are a staple around here. I keep them for on the go snacking, easy baking, and fun recipes like this one. I love this concept because it's perfect for even the smallest kiddos to get involved. 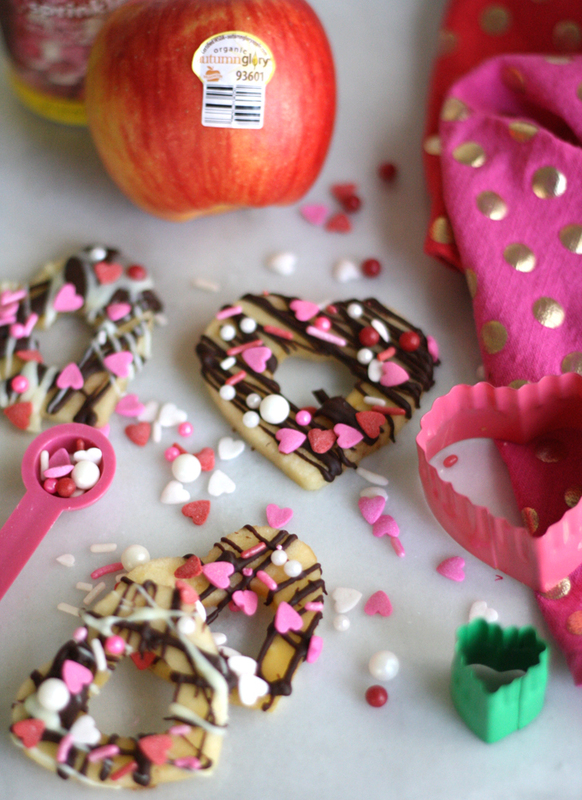 I can see my friends with kids taking these for classroom snacks - you can even skip the added sugar by just cutting the apples into fun shapes. I used Autumn Glory apples for this recipe because frankly, they're my favorite. These apples have the absolute best flavors with hints of cinnamon and caramel which perfectly compliment the chocolate and white chocolate. They're crisp, sweet, and never mealy. They're especially handy for healthy apple donuts because they're firm enough to hold the shape and the weight of the chocolate and candies. I just love them! Begin by slicing your apple into 1/4 thick slices. I got about 6 slices out of my apple, but only used the largest 4. 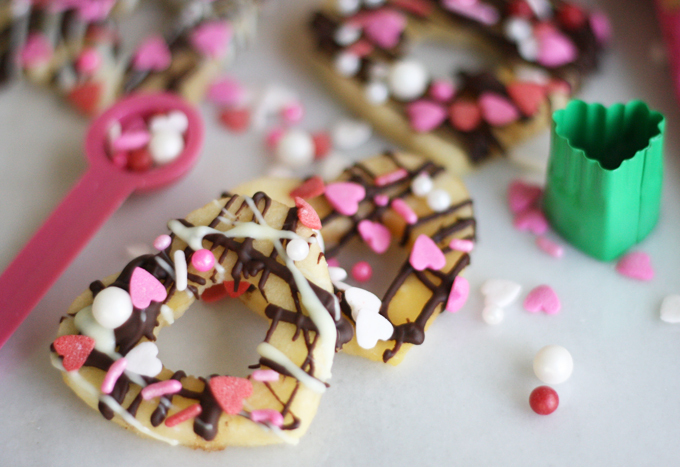 Next, take an appropriately sized cookie cutter and press it into one of your slices. 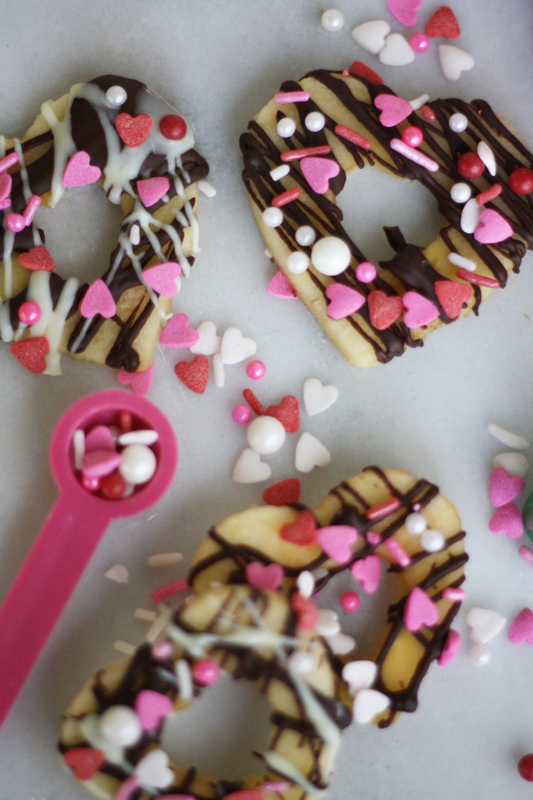 Find the smallest heart-shaped cookie cutter in the set, and use it to cut the core. Melt your chocolate in the microwave being careful not to burn it. I like to melt mine in 30 second intervals, stirring vigorously each time. 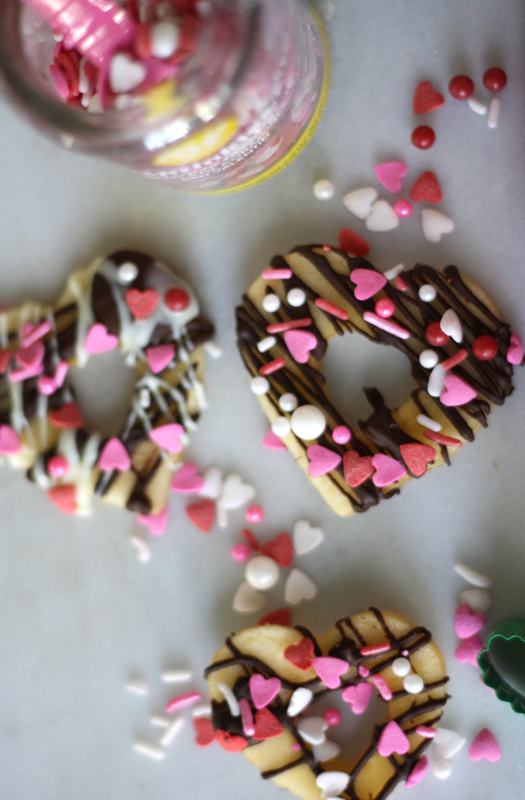 Drizzle your chocolate over your heart shapes and sprinkle with festive candles and sprinkles. Allow to sit at room temperature for a minute or two. This post was sponsored by Autumn Glory Apples. All opinions are my own!